Martin Jones' hand crafted wooden tulips, wooden daisies and wooden daffodils bring the art of nature to your home. 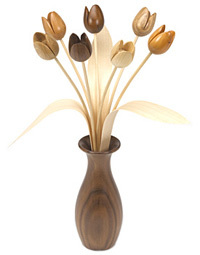 His artistry and craftsmanship capture the transient joy of spring flowers permanently in beautiful English wood. 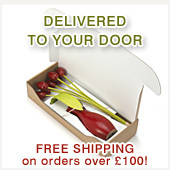 And now available: wooden apples and wooden pears!